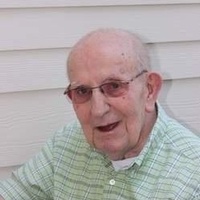 Joseph Bernard Haugen, age 86, resident of Coeur d’Alene, Idaho, passed away July 16, 2018, at Orchard Ridge in Coeur d’Alene. Joe was born Dec. 7, 1931, in Northfield, Minn., to Martin and Nora (Quamme) Haugen. Joe enlisted and served in the United States Marine Corps from Nov. 27, 1951 until July of 1952. He served in the Korean War from June of 1951 to July 4, 1952 as a field radio operator. After returning from Korea, he attended and graduated from the Minnesota School of Business with a degree in accounting and business. Joe married Joanne K. Luebke on Sept. 2, 1955, in Faribault, Minn. They moved to Minneapolis and then to Lakeville, Minn; later moving to Coeur d’Alene in 1968 (he was the last of five brothers to move West). Joe worked as a Licensed Public Accountant for Atlas Lumber and Sverdsten Logging, and he owned and operated Haugen Accounting. He and his wife were members of the Christ the King Lutheran Church; he was a man of deep faith. He loved fishing, hunting and reading. Joe was an active member of the American Legion, VFW and the Eagles Lodge. He participated in parades, marching with other veterans, and he played “Taps” on the trumpet at military funerals for many years. He loved his children, grandchildren and great-grandchildren. He was so very proud of them. He was also a proud Marine and so very proud of his country. Joe was preceded in death by his wife, Joanne, on March 15, 2017; his parents; and brothers, Arthur, Harry, Myron and Kenneth Haugen. Joe is survived by his son, Brian and wife, Cindy of Hayden; daughter, Marna J. and husband, Bob Bedford of St. Paul, Minn.; grandchildren, Travis Haugen of Coeur d’Alene, Tyler Haugen of Seattle, Wash., Lacie (Cody) Fetcho of Kennewick, Wash., Emily Bedford of Minneapolis and Lindsey Bedford of Kirksville, Mo. ; and great-grandchildren, Hailey (Hawkins) and Mackenzie Fetcho. Joe’s Memorial Service will be Saturday (April 27th ) at 11:00 am at Christ the King Lutheran Church, 1700 E. Pennsylvania Ave, Coeur d’Alene, Idaho. His family suggests memorials to Orchard Ridge Memory Care Unit, 624 W. Harrison Ave. Coeur d’Alene, Idaho 83814. English Funeral Chapel, Coeur d’Alene has been entrusted with his care and arrangements. There's still time to send flowers to the Memorial Service at the Christ the King Lutheran Church at 11:00 AM on April 27, 2019.